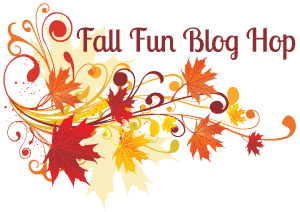 Ready for a just for fun Fall hop? If you came here from Jimmi Mayo then you’re in the right spot. If not head back to the beginning at Lydia Fiedler‘s blog. Here is the list of hoppers! 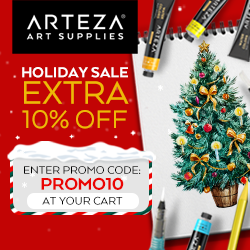 This entry was posted in Big Shot/Big Shot Pro, Clearsnap, DiscountCardstock.com, Framelits, Inks, Papers, ShinHanart, Sizzix, Stamps, Thank You, The Stamps of Life, Touch Twin markers. Bookmark the permalink. Sooo cute, Jeanne :). I am so glad you are participating in the hop today! This is TOO cute!!! How much fun is that little owl?!?!?! How adorable!! Love your sweet paper-pieced owl as the focal point! great paper pieced owl, very cute! oh my, is this ever the cutest…Happy Fall! 2 Cute! Love everything about this card! What a fun owl! I love him on the stripes! too cute! Hey, girlfriend…how fun to be hoppin with you today!!! 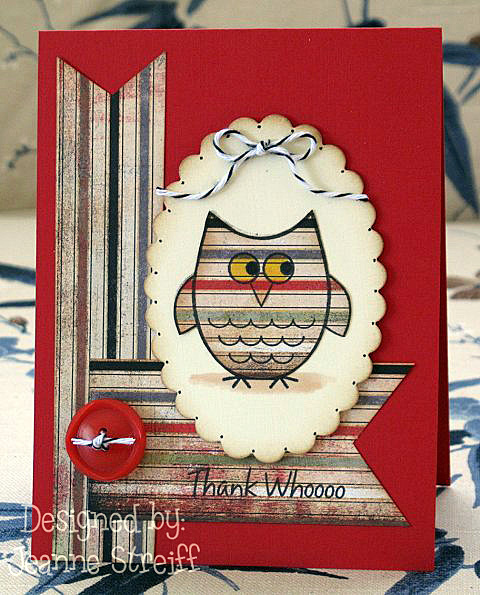 Your card is adorable…such a cute little owl and fun sentiment!!! Lovin all the red, too!!! What an adorable owl! And I love the papers, too. Ohhhh gosh that stripey owl is just darling Jeanne!! Very, very cute! I just love that adorable owl! Stripes! Great idea! Love the layout of this card — great! This is so super cute! I love the paper pieced owl! 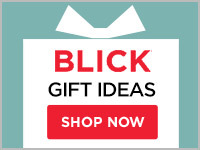 That paper pieced owl is super cute! Love it! Whoo, whoo! what a fun card! love the striped paper Jeanne! Oh that’s just too cute! Love the owl on that paper and love the sentiment! Such a cute fall owl Jeanne. Happy Labor Day! Using the same pattern paper but turning it and then using it on the owl was just pure genius design work, Jeanne. What a cute owl, Jeanne – LOVE all those stripes and your distressing – fun sentiment too! Love it – the papers are stunning too. Jeanne – what a cute paper pieced owl!! I hope you have a great Labor Day!! Beautiful card Jeanne!! That is a cute owl. Your owl is just darling! Love the twine bow too. Oh LOL – I just read Lydia’s comment! HA HA HA! Adorable little Whoo! Great ribbon and button accents. Oh what a great little owl! Wonderful paper and fabulous design. Fun card!! So cute…Love that sweet owl! What a super cute owl!! Very cute–I like the striped paper and the striped owl. That is such a whooo-t of a card! I love that cute owl and the fall colors. This is so simple but adorable! Great layout! I love the cute little owl with the bow over him. And I love your doodling! Thank you for sharing. Cute Cute Cute! Love your fun layout and that darling little owl! The Owl is so cute, thank you for sharing your card. Now you “know” that new set has me in tangles trying to keep a zipper on my wallet … but this is just so dog-gone CUTE! Makes me giggle with a smile! That’s so fun! I love the striped papers and his huge yellow eyes!